The sport of paragliding is an exciting and relaxing activity that everyone can enjoy. Probably the most exhilarating, peaceful and pure form of aviation yet invented. Paragliding allows you to experience the incredible feeling of flying free, among magnificent valleys, glaciers and mountain peaks. People often associate paragliding with adrenaline junkies, however once you have experienced the sport; you will change your perception of it and will learn to love it. Many of us dream of flying like a free bird in the sky. Paragliding is similar to hang gliding, but there’s a huge difference between the two. 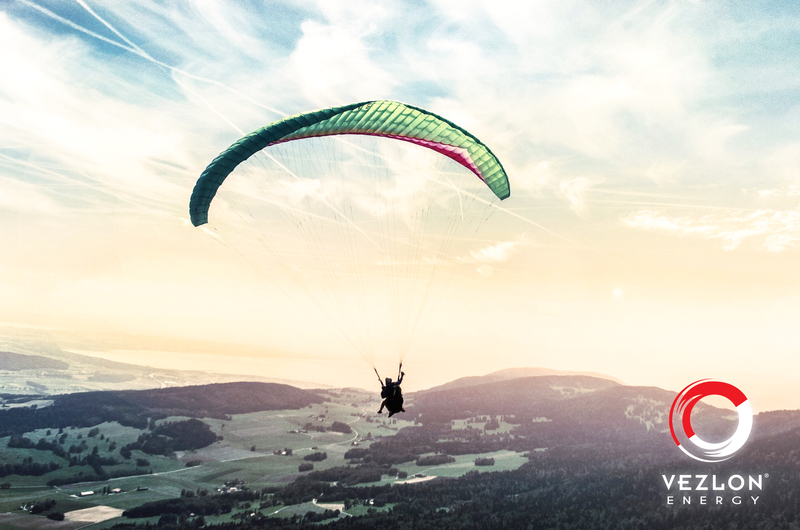 There are no frames in the paragliders and the wings are elliptically-shaped which can very easily be folded to the size of a backpack when not in use. These features make paragliders more convenient and considerably lighter to transport than hang gliders. As compared to hang gliders, paragliders generally soar at a lower velocity, which makes it easier for people to learn to fly them. 1. Set Realistic Goals – The sport of paragliding requires a lot of dedication to master the flying techniques along with a great deal of time. Do not plan to practice your paragliding adventure only on weekends or when the weather is good as you will never have enough consistent flying time to progress or learn some of the more difficult tricks. Paragliding requires consistent back-to-back reinforcement training to progress safely and steadily. 2. Find A Mentor – Constant refinement and practice play a vital role to become a successful paraglider. So, it’s always recommended seeking advice from the mentor for safely mastering the paragliding skills. By offering guidance and advice during your training, a good mentor will help keep you focused on what matters the most for your flying (and learning) style. If you have trouble finding a mentor, plan the yearly or bi-yearly trip to the famous locations and there itself build a strong mentor relationship. 3. Paragliding Preparation – Preparation is the key. Even the most experienced pilots make mistakes. So always maintain a respect for flying along with the feeling of susceptibility. Before you start your paragliding training, prepare yourself physically and mentally. This also includes compiling an accurate weather forecast ahead of your flight and knowing the area well. Practice makes you perfect, hence, it’s always recommended to practice your techniques for both launching and landing. 4. Paragliding Harness – The pilot and the explorer are slanted into harnesses which offer help in both the vertical and inactive positions. Harnesses come equipped with foam or airbag protectors under the seat and behind the back so as to reduce the impact on failed launches or landings. Types of paragliding harness: Pod Harness (used primarily for cross country flights and competition), Sky Harness (ideal for light flying), Reversible Harness (best for long distance flights), Light Weight Harness (fun and long distance flights and also for trekking) and Advanced Harness (suitable for beginners and leisure pilots). 5. Paragliding Equipment – The standard set of equipment for paragliding includes the canopy or wing, the harness, a flight suit, safety helmet, and boots. Beginners should always purchase new paragliding equipment. The reason being if you buy old equipment, they can be worn out, which may result in injury during your practice session. Individuals at the professional level should carry with them a variometer for measuring changes in wind condition and GPS for ease of navigation. Other things that can be carried on the gliding venture includes the camera to capture the moment that you want to save as a visual form, radio headsets for communicating purposes, kneeboards, clocks, life jackets and oxygen systems. • Soaring – This means flying on air currents to gain altitude by gliding some distance through still or sinking air, to reach another source of airlift where this process is repeated. • Cross Country Flying – For all those who want to experience more than mere paragliding, cross country flying is the best option. It gives you the freedom of flying in an unchartered territory. It is best suitable for those who have already flown a tandem flight. 7. Understand the slopes – For beginner paragliding pilots, it’s best to start off by foot launching. This is done by running down a slope and letting the wind take the canopy as you fly. Moreover, it’s always recommended to stick to slopes with a 3:1 – 4:1 ratio. Keep a check that the wind is only about fifteen degrees of being straight up the slope. If the slope is greater than this, then it will cause you a tough time in controlling the sail. 8. No obstructions – If you are foot launching, make sure that there are no obstructions, such as a ridge or tree, at 60° on either side of the slope. Once the wind takes the canopy and begins lifting you, it becomes very difficult to stop the gliding forward. Hence, always choose a spot that has little or no obstructions or you may end up injuring yourself. 9. The canopy – Whichever canopy you choose to use for paragliding, be sure to read the manufacturer’s recommendations for use. There are certain canopies that are perfect for beginners while some other canopies for the professional paragliders or for more advanced gliders. Beginning canopies are much simpler and allow the new pilot to simply focus on practicing with steering and not going too high up in the air. The above-enlisted tips along with a can of energy drink in all the training lessons or professional guiding can offer you the most awaited exhilarating experience in paragliding. As the name implies, energy drink gives you an extra burst of energy. Most of that “energy” comes from two main ingredients: sugar and caffeine. But, VEZLON Energy Drink is a carbonated energy drink that is made with high-quality ingredients to support you in reaching your potential. It stimulates, activates and revitalizes your senses; enabling your body & mind to be at your sharpest state, thus helping you to carry on paragliding through the sky.